Green Planet Machines Pvt. Ltd. is a prominent name in the market of Hi-Tech Garden Machines. We deal in various types of garden machineries including Lawn machines of different categories. We are a famous lawn machine Mowers Importer, manufacturers and among the leading suppliers in India. The range of lawn mowers that we deal in includes, Self Propelled Lawn Mower. Self Propelled Lawn Mower needs a special mention for its unrivaled quality. The company was established in the year of 1997, under the able guidance of Mr. Deepak Jain, the respected CEO of the company. Located in Delhi, the capital city of India, the company is in the business of Hi-tech garden machines with a reputation. We have become a prominent name in the industry for selling Hand Tools, Garden Tools, Lawn Mowers Manufacturers, Machine Tools and Allied Products. 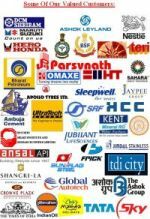 The key features of our company which make us unique in the market are as follows: Network We import the machineries from outside the country and distribute them within the many parts of India. We have a very well-coordinated network all over India and across the border as well, which enables us to conduct our business without any interruption.